Bipolar disorder is one of the most common, and disabling, conditions affecting human kind. Each year, millions of individuals struggle with the effects of this illness. Although clinically well recognized for decades, if not centuries, the causes of this condition remain incompletely understood. However, in the past decade, significant technological advances in both neuroimaging and genetic research have revealed clues about the neurophysiological basis of bipolar illness. 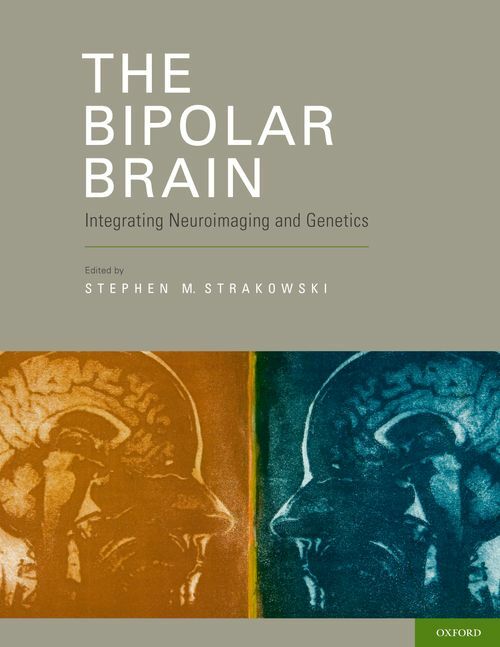 In this book, leading experts in neuroimaging and genetics discuss recent discoveries in bipolar disorder that identify both the structural, functional and chemical brain changes that seem to underlie this condition, as well as the possible genetic causes of these brain events. Based upon these discussions, the book then integrates these diverse considerations to develop a specific neurophysiological model of bipolar disorder. This model provides a resource to guide clinicians and patients as they struggle to understand this illness, as well as a guide for future investigations into the causes of bipolar disorder. With this guide in hand, this book will lead to a new framework for understanding bipolar disorder in order to, ultimately, develop improved therapies for affected individuals and novel strategies to prevent the onset in children at risk for this condition. Section I: How neuroimaging informs models of bipolar disorder. Chapter 1. Brain imaging techniques and their application to bipolar disorder. Chapter 2. Structural brain abnormalities in bipolar disorder. Chapter 5. Neuroimaging studies of bipolar disorder in youth. Chapter 6. Neuroimaging difference between bipolar and unipolar depression. Chapter 7. Neuroimaging in bipolar disorder and schizophrenia. Section II: How genetic research informs models of bipolar disorder. Chapter 8. Genetic techniques and their application to bipolar disorder. Chapter 9. General genetic findings in bipolar disorder. by John I. Nurnberger, Jr.
Chapter 10. Genetics of bipolar disorder and schizophrenia. Chapter 11. Mitochondrial genetics and bipolar disorder. Section III: Integration and future directions. Chapter 13. Integration and consolidation - a neurophysiological model of bipolar disorder. Dr. Strakowski was raised in a small town in northern Indiana. He developed an interest in neuroscience as an undergraduate at the University of Notre Dame, and this interest expanded to psychiatric conditions at Vanderbilt University School of Medicine. He refined his interests into bipolar disorder while training in psychiatry at McLean Hospital and Harvard University School of Medicine. He has developed his professional career at the University of Cincinnati College of Medicine, where he serves as Senior Associate Dean for Research.